Click here to get the latest on all pro leagues and open tryout information! Sign up, get scouted and start your pro career! Two years ago, the Rio Nuevo board approved $3 million in improvements to Tucson Arena and landed an American Hockey League franchise. Could an arena football team be next? Rio Nuevo has authorized $400,000 in further arena improvements contingent on Tucson landing an Arena Football League expansion team for the 2019 season, a prospect that chairman Fletcher McCusker says is likely. “I think it’s better than 50 percent — not unlike what we went through with hockey,” he told the Star on Wednesday. “The dates are available. The arena will be ready. And I think (the AFL) appreciates what Tucson has done to help the Roadrunners. A message left for an AFL spokesperson was not immediately returned. The $400,000 earmarked for arena improvement would pay for a turf field, goalposts and some locker room improvements. By design, arena football fields fit perfectly inside the dimensions of a hockey rink. Arena football features eight players on each side of the ball, with many of the skill-position athletes playing both offense and defense. AFL teams play 12-game schedules, with all games played on either Fridays or Saturdays. The 2018 regular season started last month and will end July 7. The AFL peaked in the 1990s thanks to teams like the Arizona Rattlers, San Jose SaberCats and Orlando Predators. ESPN aired many AFL games, often on tape delay, and the fast-paced, violent indoor sport caught on. Football star Kurt Warner played for the Iowa Barnstormers before embarking on a Hall of Fame career with the NFL’s Rams, Giants and Cardinals. The league began to decline a decade ago. The 2009 season was canceled due to financial reasons, and the league eventually filed for Chapter 11 bankruptcy protection. The AFL rebounded, adding franchises in Philadelphia and Las Vegas behind the ownership of rockstars Jon Bon Jovi and Vince Neil. Gene Simmons and Paul Stanley, members of Kiss, purchased a Los Angeles franchise and named it after their band. Disagreements between the league and some of its teams led to a fracture. The Rattlers, one of the league’s initial success stories, left following the 2016 season for the Indoor Football League. 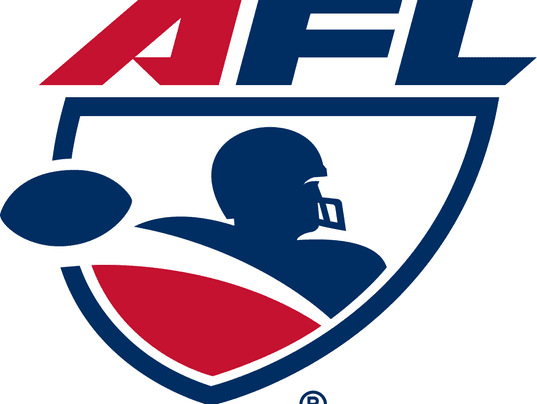 The current AFL has four teams: the Baltimore Brigade, Philadelphia Soul, Washington Valor and Albany Empire. It’s unclear if a Tucson team would lead to further western expansion, or if the team would have to travel east for all its games. Answers should be coming shortly: McCusker said Tucson expects to hear from the AFL sometime this summer. This post originally appeared on AZ Central. Copyright 2018.